Hastings resident Norma Hansen, 85, left this earth to join our Savior, Jesus Christ on Sunday, October 21, 2018, at Perkins Pavilion Good Samaritan Society-Hastings Village, Hastings, NE. Requiem Eucharist is 10 a.m. Thursday, October 25, at St. Mark’s Episcopal Pro-Cathedral in Hastings with The Very Reverend Katie Hargis officiating. Burial will be in St. Mark’s Columbarium at St. Mark’s Episcopal Pro-Cathedral Church. Memorials may be given to St. Mark’s Episcopal Pro-Cathedral Foundation, 422 N. Burlington Avenue, Hastings, NE 68901. There will be no viewing or visitation. Norma an only child, was born on May 12, 1933, at home, Beaver, IA. Her parents, Levi & Daisy (Elliott) Cole, were tenant farmers and relocated often. 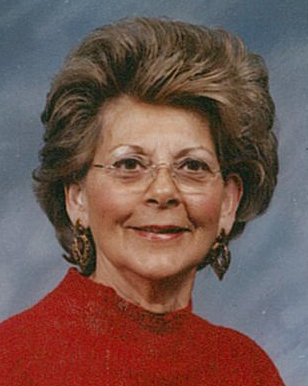 Norma attended many country schools and graduated from Perry High School, Perry, IA in 1950. After graduation, she worked as a secretary, waitress, and receptionist. She married Gerald Wicks in December of 1951 and from this marriage three children were born, twin daughters, Connie and Corinne and a son, Cole. Gerald and Norma moved to Hastings, NE in 1954 and were later divorced. Norma married Howard L. Hansen; he passed away in 1992. Norma retired as the receptionist at Educational Service Unit #9 in 1993. Prior to that, she worked for many years for the Farm Credit System. She also worked at LT&T for a short time. Norma’s church, St. Mark’s Episcopal, was very important to her and she was very active for many years. She was treasurer for the Women of St. Mark’s, a member of Altar Guild and Altar Guild Treasurer, coordinator of St. Mark’s prayer chain, and at one time Jr. Warden of the Vestry. She was a board member of the YWCA. However, being in the kitchen was her favorite thing, she coordinated funeral luncheons and receptions and was involved most anytime food was required. At home, she was famous for her peanut brittle at holiday time. Her second greatest love was caring for animals as evidenced by the many animals she took into her home. Norma was preceded in death by her parents; husband, Howard L. Hansen; and son, Cole Wicks.